After all the months of planning, determination, hard work and hands on creativity, we bring you our newly designed School Garden.Thanks to all those who have helped transform this space into the garden of timeless tranquility and welcome for everyone. Special thanks to Martha De Buitleir for having the vision to redesign this garden and steer it to becoming a reality for us all to enjoy today. Thanks to Martha’s dedication, hard work and green fingered expertise, we now have a wonderful space for outdoor leisure and learning and a user- friendly garden for all. Sincere thanks to Christina Penny for the design of the mural and for all her time and patience she gave to this creation. Every single girl in the school got to add their own splash of colour to the mural making it a really special work of art and we are truly grateful to Christina for that. Thanks also to Aidan O Rourke who spent hours, days and weeks making us our own outdoor blackboard, a fabulous new garden gate and our unique Fairy Tree House which has been the talk of the school since its arrival. Aidan’s workmanship and attention to detail were superb. We hardly knew he was even in the garden as he worked with such silent passion and humility throughout those weeks. Sincere thanks to them all and for granting us the gift of such a legacy for our school. Dean Eaton from Dun Laoghaire Rathdown County Council came in to to review our application for our 6th Green Flag for Global Citizenship: Litter and Waste. 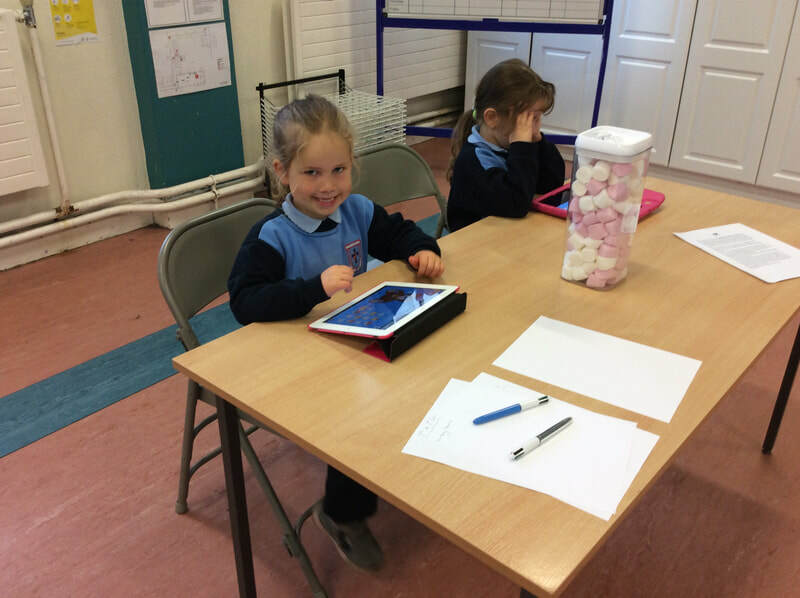 He was blown away by the responses and work of the Green School Committee who represented the whole school in the hour long review meeting. He commended all the hard work that has been done over the last 18 months learning about the meaning of Global Citizenship, Fair Trade and ways in which we can improve our Global responsibility towards Litter and Waste. He was so impressed with all he saw and heard that he left the school feeling very confident about us being awarded with our next green flag. Citizenship most often relates to being a member of a nation state (country) but it can also relate to being a member of a union of states, like the European Union, or even to the Global population: every single one of us is a citizen of the world. Global citizenship is a moral understanding of our responsibilities and our rights in a global context. Being a true Global Citizen indicates that we understand that ALL people have equal rights, while at the same time valuing diversity. In addition, it means that we value the earth as very precious and as a resource upon which we all depend and should care for. Thanks to the generosity of Dean Eaton and Dunlaoghaire Rathdown Co. Council, we were one of three lucky schools selected to receive three free workshops from the Rediscovery Centre on the theme of Global Citizenhsip Litter and Waste. 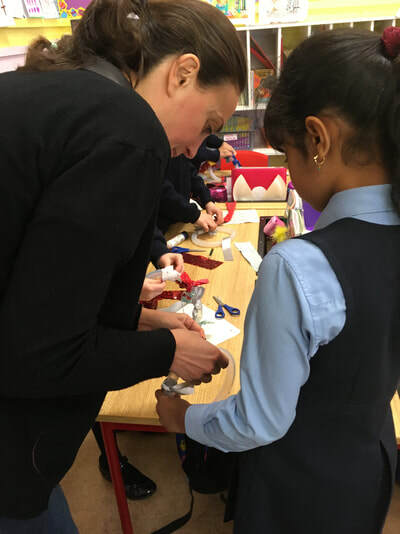 2nd and 5th Classes were thrilled to welcome back Roberta Bellini from the Rediscovery Centre to present the second of the three workshops to the girls and they were absolutely hooked from the moment she entered the rooms. 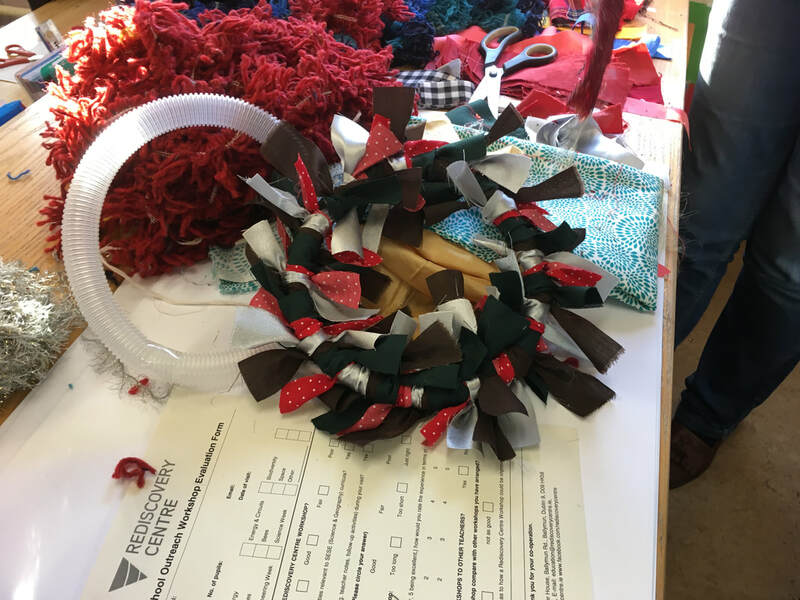 The theme of Global Citizenship was very much to the fore of the workshops with International Flag making, jewellery designing and a closer study of Fair Trade. We look forward to welcoming Roberta back for her final workshop sometime in early February. 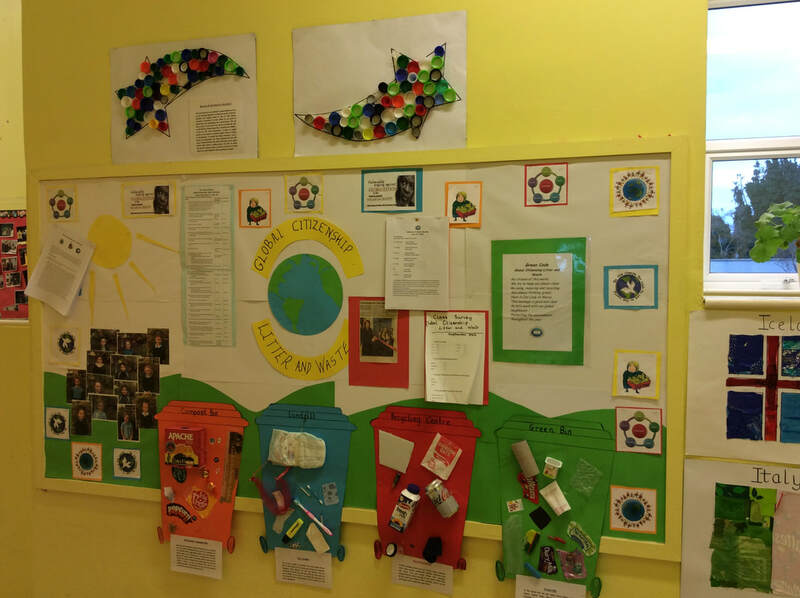 ​The Global Citizenship Litter and Waste theme is concerned with creating knowledge and understanding about the link between environmental degradation and human rights. Students will learn about sustainable development and will be enabled to examine the world’s inter-dependency and development in a critical manner in order to create real change by acting locally, effecting a more equitable, just and sustainable globe for ALL. Congratulations to everyone for such great decorations all of which are now on display on our Christmas Tree in the hall. ​ Maith sibh go léir! A huge thanks to all those who turned up to lend a helping hand in getting our garden ready for it's summer make-over. co-ordinating last night's successful clean -up. ​We really appreciated all your help. 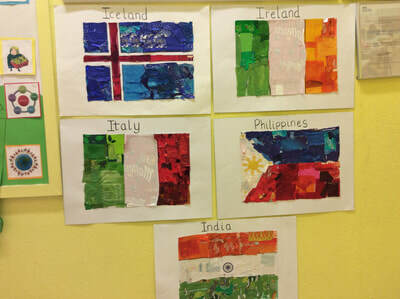 As you are aware we are currently working on our 6th Green Flag for the work on Global Citizenship Litter and Waste. 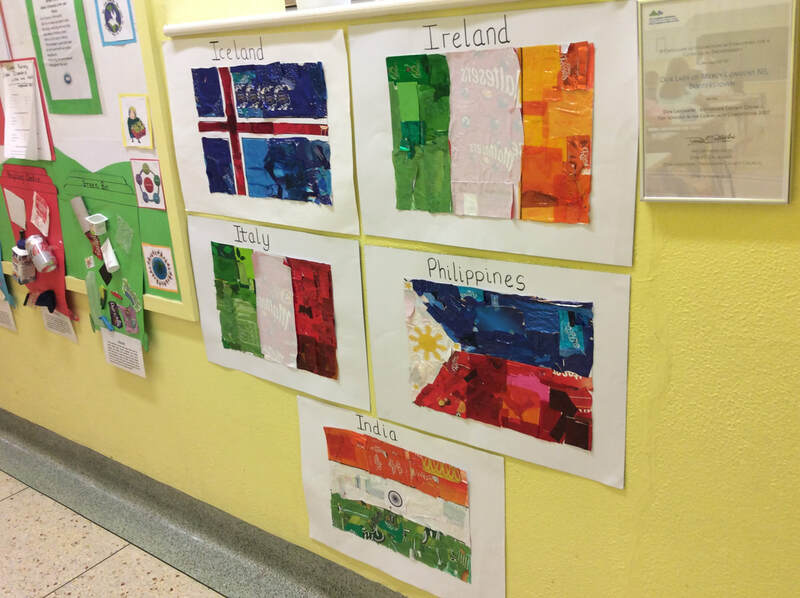 As well as looking at our global connections in school, we are also trying to support the working environment of our Global neighbours. To that end we are exploring the whole practice of Fair Trade. ​​Fairtrade is an alternative approach to conventional trade and is based on a partnership between some of the most disadvantaged farmers and workers in the developing world and the people who buy their products. 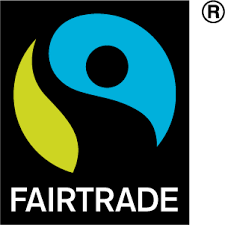 It was agreed at our recent Green Committee Meeting that every family should try and buy at least one item of Fair Trade Produce between now and Christmas to help the Fairtrade Approach..Buying Fairtrade is easy. There are over 4,500 Fairtrade products from coffee and tea to flowers and gold, so when you shop, look for the FAIRTRADE Mark. We hope you will support us with our efforts. 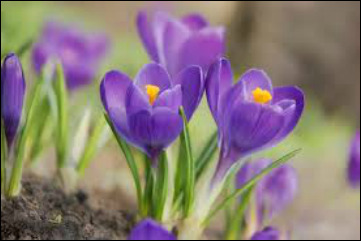 .Rotary Clubs Worldwide in partnership with the Royal Horticultural Society (RHS) aim to plant five million crocuses as part of their World Wide Campaign to eradicate Polio. The colour purple reflects the purple dye used to mark the finger of a child who has been immunised against Polio. As with several other schools, we were delighted to be asked again this year by Peter Wallace from the Dublin Rotary Club to get involved in this campaign and support the cause to eradicate polio. It's a perfect opportunity for us to add colour to our garden making it an even more attractive place for the bees to visit. 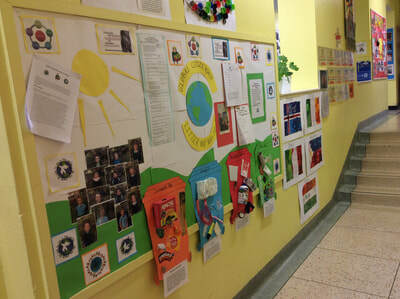 It also supports our global citizenship programme in reaching out to our neighbours across the world. We look forward to seeing our bloom of purple crocuses early next Spring!